Adversity is inescapable. We have an inner drive for comfort, and when we encounter something unpleasant or uncomfortable, our initial reaction is to reject it. We don’t want to deal with things we don’t like, so we try to push them away from us. But what if the unpleasant is actually an opportunity? What if adversity is a gift? How could this be? We turn to Marcus Aurelius Anderson, who conquered his worst nightmare. By overcoming what he thought was an unsurmountable obstacle, he has come to realize how much potential lies in the human spirit. His greatest adversity turned out to be a gift with lifelong value. It began with the military. Not long after his uncle, a Vietnam veteran, passed away, Marcus wanted to honour his memory and service to his country. So he decided to join the military; specifically, in the infantry. His professional background and skillset gave him, effectively, whatever choice of role in the military he wanted. But he wanted to be the best soldier he could be, and get into the midst of protecting his country. So he joined the infantry. A childhood nightmare made manifest. One day after training, he felt some numbness in his extremities. He explained it away to himself as a natural consequence of the physical stress of military exercises. But the next day, he woke up and realized he was paralyzed from the neck down. He tried to get out of bed and he could only move his head a little. As a child, he had nightmares of not being able to move his body. This was his worst fear, and it was happening to him, now. Luckily, military personnel were near his quarters and were able to get him immediate medical attention. After being rushed to hospital and examined, a disc rupture was discovered in his neck. Marcus was prepared for surgery. He flatlined twice during the operation, but made it out. Unfortunately, the doctor told him he would never be able to walk again. This plunged him into a deep depression. He thought about committing suicide, but couldn’t actualize it because of the paralysis. He raged at everyone he came across during his early recovery. But mostly, he was furious at himself for what he felt was wasted time on tasks with no meaning to him. Marcus decided to try to just go with his new reality, to try to find something positive in what had happened to him. To see if, maybe, there was a silver lining to all this. About a week later, after he changed his mindset, he started feeling movement in his fingers and his toes. He used that remarkable progress as a cornerstone, onto which he could build up the rest of his recovery. It took three months before anything moved, and almost an entire year before he could walk with the aid of a walker. Eventually he was discharged from long-term care, and still needed occupational therapy to maintain his progress. But he had done the impossible. He was walking when the experts said it was impossible. He had lived through and overcame his greatest nightmare. Sharing his story to motivate others and to close the dark chapter. 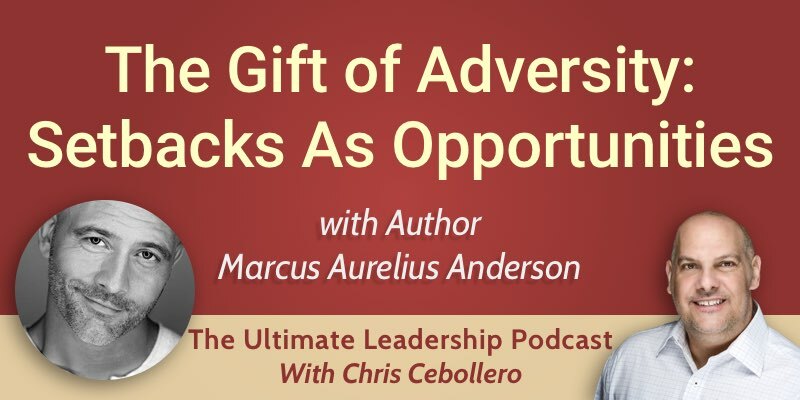 Marcus wrote his book, “The Gift of Adversity” because he hoped that others suffering from major setbacks could take benefit from it. Even if only one person took any comfort or motivation from the book, that would’ve been enough to make Marcus feel that he had done his job. Marcus also shared his story for catharsis. By putting his awful experience – and the profound growth he found as a result of it – down on paper, he found he could create closure for himself, and move on to the next chapter in his life. Through his work as a Mindset Coach, Marcus shares the core insight from overcoming his greatest setback: that hard work must be underlined with the right mindset, and the right mindset needs hard work to drive it forward. Human beings have remarkable potential. But we can’t draw on our tremendous reserves of strength unless we have something to push us forward, to challenge us. That’s the gift of adversity.